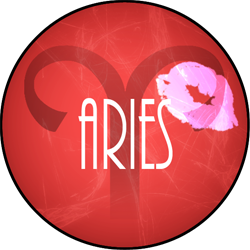 Fiery Aries beware of excesses this month. Keep things easy and relaxed. Above all, stay away from men who don’t have your best interest in mind and push you back into old patterns of sexual addiction. Don’t indulge in too much internet shopping either, but pick up a new healthy hobby to center your boundless energy, such as home decorating or knitting. Check out the new fall designs for home decorating from We are Knitters — something is sure to catch your eye.This basket will look great when you hop around town, or filled with magazines in the living room. Knitting is the new cool (but don’t worry, videos and online help is available if you get stuck): www.weareknitters.com. 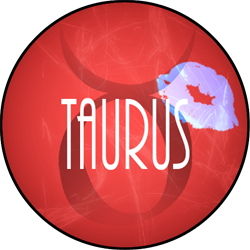 Things look very promising for you this month, Taurus. You have quite a bit of confidence. Opportunities to make the right business contacts are on the radar so try to always look your best. Empty your closet of last year’s old clothes and shoes that don’t complement you, and invest in new designs to help build a polished image that attracts success. Check Rockport’s new collection for fall and get a pair of trendy booties such as these Cobb Hill Missy Side Zip Boot that look chic and hip with a pencil knife skirt or relaxed pants. An essential element of any fall wardrobe, they’re so comfortable with their foam footbed and elegant with their lustrous leather, that you’ll step into them over and over. 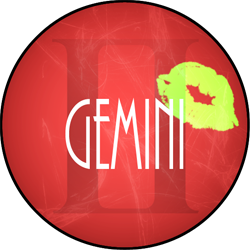 Gemini, your dual nature will bring the best of both worlds this month, as your lighter side syncs with your wiser half. Don’t miss an opportunity for romance around the 15th. It might look like friendship at first but don’t dismiss it — there could be sparks down the road. You have one busy social calendar this month and you’ll have a load of invitations, for sure. If you’re looking for a special holiday gift to bring to your party hosts, try Kim Crawford's first limited edition holiday bottle: a dry and delicious Sauvignon blanc, number-one selling of its kind in the United States. Wrapped in gold with the brand’s signature on the screw cap, it is the perfect gift to bring to any party this season. 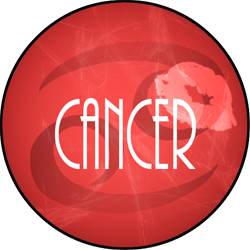 Sweet Cancer, your natural urge is to protect and take care of others. This month you’re drawn into that even more and are especially sensitive to the needs of your loved ones. Sometimes, though, you think more about their needs than your own. As a result, perhaps some emotional eating has added a few unwanted pounds? A typical diet may not be your style, and you’d like something more creative. Check out Slimware dishes. These pretty dishes let you forget about counting calories, and instead work on not overeating by using portion control guides cleverly designed in graphic food placement areas. Place vegetables in the largest area, healthy carbs in the medium area and protein in the smallest. It’s a perfect way to make you mindful about taking care of yourself and not just others. Bon Appétit! Prideful Leo, this is your month to be cautious, which might go against your nature, but it’s really what’s best for you right now. In the last few months it’s likely that some extra money has come your way. But be careful, as that the extra cash is likely to run a bit dry this month. Best to be a little frugal and stop splurging on so many appointments at the local salon. Visit less frequently but still look great by using the Dry Divas Shower Cap. This isn’t your granny’s shower cap. Dry Divas are great looking, high quality, made in the U.S., and available in a ton of trendy patterns adorned with fun jewels. More importantly, they’re big enough to put all your hair into without ruining the volume. Say bye-bye to flat, damp hair and hello to Dry Divas — the shower cap that’ll make you smile. This is a month, Virgo, when you’ll be confronted with old emotional patterns just as the weather gets colder. You can break from toxic relationships and establish new ones wherein you direct yourself without caring how others view you, or judge you. Let your hair down, meet new love, and tumble into glee. Beautywise, avoid toxic chemicals as much as possible, since your highly sensitive and reactive nature tends to respond negatively to anything unwholesome. You need Klo Organic Beauty’s skincare ritual, which removes, refreshes and restores without toxins, sulfates, chemicals, or GMOs. Use the oil cleanser at night to remove all impurities amassed during the day, massage oil deeply into your face, then remove oil and impurities with a clean washcloth in hot steamy water. You’ll look fresh and feel regenerated. 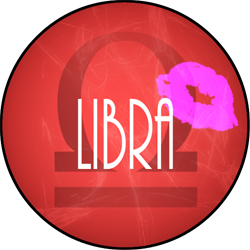 You’re full of blazing energy and lust this month, Libra. Let the good times roll, and follow the positive vibes flowing your way. This is the time to undertake ambitious projects such as building that new company you’ve been thinking about for several years. Your slight inhibitions will be gone. Don’t neglect your skin this month — use some of your boundless energy to care for it in cooler weather. What you need now is a truly restorative night cream such as the new and wonderful Multi-Action Overnight Treatment by Perricone MD. It works synergistically with your body’s sleep cycle: massage it in gentle, circular motions into cleansed skin at night, and feel immediate relief as your skin absorbs it quickly and heals from the patented and natural ingredients (and alpha lipoic acid). In the morning, notice how your skin feels more elastic and refreshed, clearer and radiant, with less visible imperfections. Your energy is magnetic, Scorpio. You never beat around the bush, and get things done because you permit nothing to get in your way. Expect November to bring you good luck in business, with new contacts and new romance. To keep your body’s youthful resiliency and its natural beauty and strength throughout the holiday season, drink some collagen every day to help all connective tissues in your skin stay youthful and strong. Collagen, the most abundant protein in the body, can be damaged by too much sugar — but you can help it repair itself by drinking wild-caught Marine Collagen in an anti-aging dietary supplement that Vital Proteins created. Mix it to juice or your favorite shake every morning. 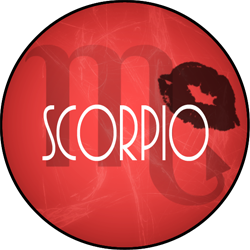 Scorpio birthdays: Cassidy Capstick, November 5; Emma Stone November 6; Grace Kelly, November 12; Jodie Foster, November 19; Ming-Na Wen, November 20; Anna Wintour, November 3; Katy Perry, October 25; Emma Stone, November 6; Gabrielle Union, October 29; Grace Kelly, November 12; Marie Curie, November 7; Marie Antoinette, November 2; Kimberly McDonald, November 16. 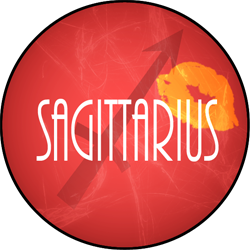 Let go of your need to always be in control Sagittarius — stress has a bad effect on skin radiance. Relax! You want to be fresh for the holiday season. To replenish your skin, drink plenty of juices and eat loads of fresh green vegetables. At the end of the day, indulge in the benefits of Dr. Y Secrets’ super emollient and soothing Luxurious Foaming Cleanser that not only rids your face of all the city’s pollutants but leaves it instantly glowing. You’ll feel wonderfully pampered and calm with the scent of pressed rose petals and the efficacy of alpha hydroxy acids freeing your skin of dead skin cells. Use this replenishing cleanser at the end of the day before you go out at night to look revived and luminous. Sagittarius Birthdays: Scarlett Johansson, November 22; Nicki Minaj, December 8; Miley Cyrus, November 23; Christina Applegate, November 25; Tina Turner, November 26; Kathryn Bigelow, November 27; Tyra Banks, December 4; Judi Dench, December 9; Taylor Swift, December 13; Anna Faris, November 29; Britney Spears, December 2, Jane Austen, December 16. 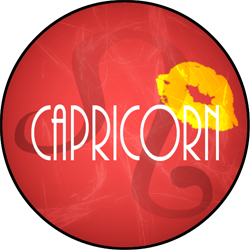 Watch out for a few bumps in your relationship sector this month Capricorn, since a desire to break habits will create conflict with your partner. Don’t worry, your partner will be understanding as long as you make an effort to communicate your needs openly. At work, expect a similar sense of boredom to settle in — so try to rethink long term goals. All this stress may cause your hair to look less lustrous, so to replenish your tresses in time for the holiday season, discover professional haircare Label. M’s Honey and Oat Mask. Royal black honey and oat oil are two of the deeply nourishing ingredients that will give a boost to your faded mane, repair its texture, and help it shine in less than 3 minutes. The official haircare product for London Fashion Week, Label M is available in high end salons. Capricorn Birthdays: Michelle Obama, January 17; Carolina Herrera, January 8; Hikaru-Utada, January 19; Kate Moss, January 16; Nigella Lawson, January 6, Zooey Deschanel, January 17; Sienna Miller, December 28. November is Marathon time as the world famous race kicks off during week one. If you’ve been training and participating in the race, Aquarius, good for you. If not, you’ll still feel a rush of enthusiasm for an exercise program and challenging yourself physically this month. This is the time when you might go the gym five times a week, and use every opportunity to push yourself physically. After all, building muscle is the best way to keep a body lean and strong. To help you ride this month of new physical endeavor, discover Faust’s Awake and Asleep Potions - liquid nutritional supplements in the form of single shots of essential nutrition to restore electrolyte balance, increase energy levels, and detox the system. Vitamins, green tea and ginseng are some of the ingredients inside the slim bottle that fits easily in your gym suit pocket or purse for a quick shot when you need to keep going or relax at the end of the day. Aquarius Birthdays: Ellen DeGeneres, January 26; Oprah Winfrey, January 29; Kerry Washington, January 31; Shakira, February 2; Elizabeth Banks, February 10; Jennifer Aniston, February 11; Christina Ricci, February 12; Kelly Rowland, February 11. 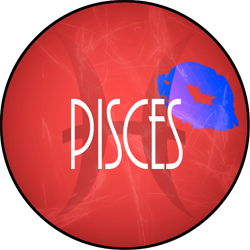 Try to stay focused on positive thoughts this month Pisces — feelings of discouragement and inadequacy may creep in to destabilize your confidence. Maybe you’re being unrealistic with your expectations of yourself, or maybe a less than supportive partner needs to go. Take walks in open fields and climb to mountain tops to find inspiration. Relax in a calm place by the water to meditate, and don’t hesitate to call on friends to escape your blues. Try not to eat refined grains, processed sugars or junk food as they are devoid of essential nutrients that can affect your emotions. Learn how the right foods and supplements can elevate your mood by reading about new ways to treat short-term and long-term depression in James M. Greenblatt, M.D.‘s Breakthrough Depression Solution, Mastering Your Mood with Nutrition, Diet and Supplementation. You’ll learn that you are much more in control of your moods than you realize, simply by adopting a healthier balanced diet of essential nutrients. Pisces Birthdays: Rihanna, February 20; Jessica Biel, March 3, Olivia Wilde, March 10; Ellen Page, February 21; Drew Barrymore, February 22; Chelsea Handler, February 25; Rashida Jones, February 25; Carrie Underwood, March 10; Eva Longoria, March 15.